The anointed Bishop Samuel R. Blakes, Senior Pastor of New Orleans and Baton Rouge’s revered New Home Ministries, extends yet another branch from his ever-growing ministry with the release of his new single “God Wants To Hear From You,” available at iTunes now. 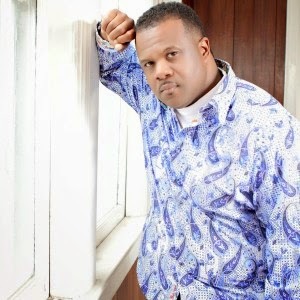 With his bold baritone beaming over the stirring piano-laced track, Blakes’ passion can be heard from the very first note as he proclaims the power of prayer. A gospel force sweeping listeners up in its sweet, organ-assisted melody, the tune’s simple, yet effective, design shines without losing sight of its intent to remind them of the infinite love of God. Bishop Samuel R. Blakes is a visionary, spiritual leader, teacher, and all around gospel force appointed to carry on the mission of a lineage of spiritual warriors. The youngest son of the highly revered Prophet Robert C. Blakes, Sr. and Minister Lois R. Blakes, Bishop Samuel R. Blakes currently resides as the Senior Pastor of New Home Ministries’ multi-location congregation serving seven sites including New Orleans and Baton Rouge. After earning Bachelor’s and Master’s degrees in Theology from the Christian Bible College in Louisiana, Blakes expanded his evangelical scope to touch every corner of the United States and perform some ministerial outreach abroad.